BCDB Rating: 4.9/5 Stars from 6 users. This page has been viewed 18 times this month, and 3325 times total. Cartoon Characters: Mickey Mouse, Minnie Mouse, Donald Duck, Daisy Duck, Huey, Dewey, Louie, Scrooge McDuck, Goofy, Max, Pluto, Chip, Dale, Aunt Gurtie, Mortimer,Pete, Postman. Written By Richard Cray, Thomas R. Nance, Temple Mathews, Charlie Cohen, Carter Crocker, Scott Gorden. Awards: Annie Award Nominee, Outstanding Achievement In An Animated Home Video Production, 2000. Originally Released on December 07, 1999. Contains three segments: Stuck On Christmas (Donald Duck), Have Yourself a Goofy Christmas (Goof Troop) and Gift of the Magic (Silly Symphonies). Do you have anything to add to this page? Have we made any mistakes... or do you have any additional information about Mickey's Once Upon A Christmas? If so, we would love to hear from you. Please send us a quick note with your additions or corrections to this page, and we will make the corrections as soon as possible! 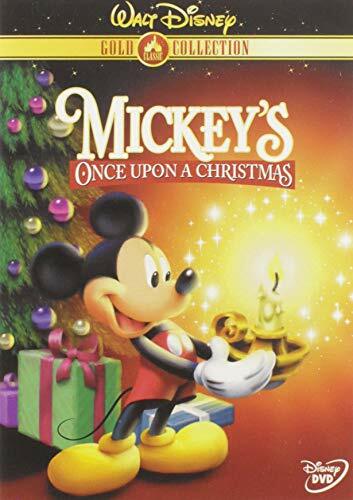 Do you love Mickey's Once Upon A Christmas, or do you think it is the worst cartoon ever? Let us know what you think! Surely you have an opinion... so share what you think. Take a minute and post your own comments about this cartoon here. 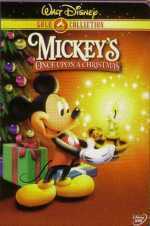 Mickey's Once Upon A Christmas by Big Cartoon DataBase is licensed under a Creative Commons Attribution-NonCommercial-ShareAlike 4.0 International License.